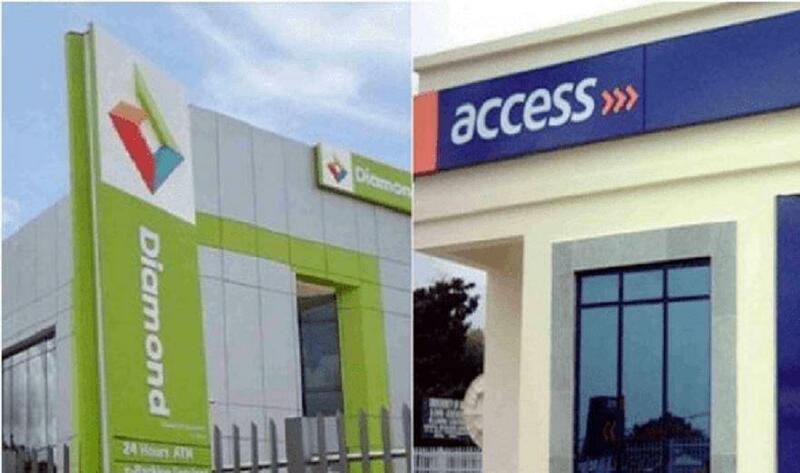 Final approvals have been given to the proposed scheme of merger between Diamond Bank and Access Bank. The approvals were granted by both the Central Bank of Nigeria (CBN) and the Securities and Exchange Commission (SEC). With this development, Access Bank and Diamond Bank are just a step away from being one big financial institution. The next hurdle to cross by the two lenders is getting a separate judgement each from a federal high court to legalise the ‘marriage’. In separate statements, Access Bank and Diamond Bank confirmed the receipts of the approvals from the central bank and the apex capital market regulator. “Access Bank Plc is pleased to announce that the bank has received the final approval of both the Central Bank of Nigeria (CBN) and the Securities and Exchange Commission (SEC) to the proposed scheme of merger between the bank and Diamond Bank Plc. “We will provide further update to the market upon receipt of court sanction of the scheme,” Access Bank said in its own statement. “Diamond Bank Plc is pleased to announce that the bank has received the final approval of both the Central Bank of Nigeria and the Securities and Exchange Commission to the proposed Scheme of Merger between the bank and Access Bank Plc. “The scheme is subject to judicial sanction of the Federal High Court. “We will provide further update to the market upon receipt of the court sanction of the scheme,” Diamond Bank stated. Business Post reports that the unified Diamond Bank and Access Bank will kick off its services on Monday, April 1, 2019. Earlier this month, shareholders of both companies approved the proposed merger at their respective court-ordered meetings in Lagos.